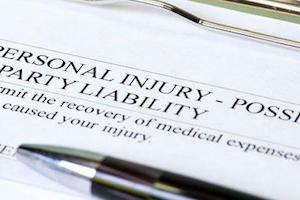 The insurance industry plays a large role in the personal injury process. Your interactions with insurance adjusters, claims negotiators, doctors and others can greatly affect the outcome of your case. At Corsiglia McMahon & Allard, L.L.P., our experienced personal injury attorneys help clients maximize their recovery. We aggressively pursue full compensation to protect our clients and hold negligent parties accountable for their actions. If you have been in an accident or lost a loved one in a wrongful death, contact our knowledgeable California lawyers today. The most important thing you can do for yourself after an accident is to seek medical attention. If you wait to see a doctor, insurance companies can use that as evidence that you were not injured in the accident. Even if you believe your injuries are not serious, it is best to have a medical professional check your condition. The more evidence you can gather and preserve, the better off you will be. If you called the police, get a copy of the report they filed. Call an attorney and take photographs of the accident scene. Keep a record of the incident and all the consequences of your injury, if possible. Whatever you do, do not speak to an insurance adjuster without first seeking the advice of an attorney. If an insurance company can get you to make statements minimizing what happened to you, those statements can be used to deny your claim or limit the compensation you receive. We can help you determine if you have a case. Our experience and dedication to personal injury victims allows us to provide an honest assessment of your situation. We can answer your questions and give you the advice you need to move forward. If you have a case, our skilled team will file a claim to seek full compensation for your injuries. We will attempt to negotiate a successful settlement for you. If an acceptable offer is not available, our dedicated trial advocates will not hesitate to go to court to protect your interests. Whether the case settles or goes to trial, you never pay us anything unless we collect compensation for you. Our goal is to obtain maximum compensation for you and see that justice is served. By holding negligent parties accountable, we strive to make our community safer for everyone. If you or a loved one has been involved in an accident, contact our San Jose personal injury lawyers today.